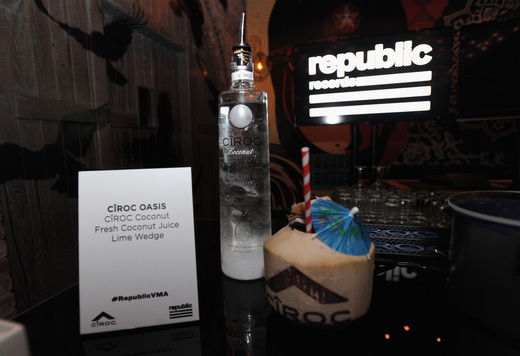 This past weekend Republic Records hosted a star-studded Post-MTV VMA bash at Vandal in New York City. The event was presented by GUESS, in celebration with Cîroc and water by FIJI with additional partnerships from Chromecast and Heineken. 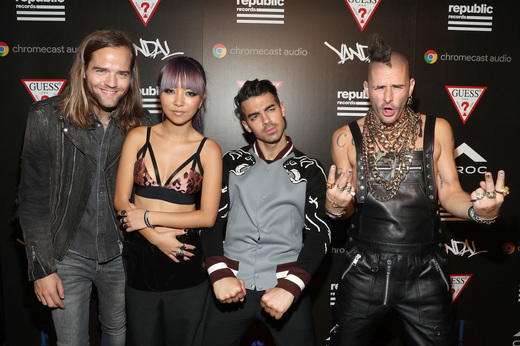 Drake received “Best Hip Hop Video,” and DNCE received the award for “Best New Artist” so there was much to celebrate that night. Throughout the night, guests enjoyed the premiere of Ariana Grande’s new music video for “Side To Side” featuring Nicki Minaj via GUESS Music HERE. In addition, they sipped drinks courtesy of Cîroc and cooled down with bottles of FIJI water.